Test unit support with each of the Matplotlib primitive artist types. The axis handles unit conversions and the artists keep a pointer to their axis parent. 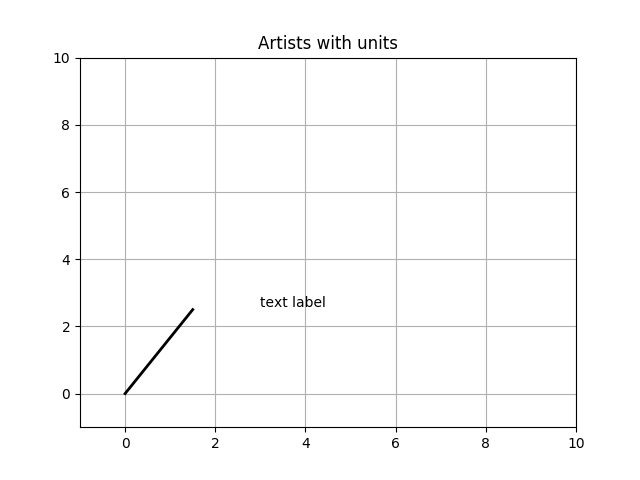 You must initialize the artists with the axis instance if you want to use them with unit data, or else they will not know how to convert the units to scalars. # Not supported at present.